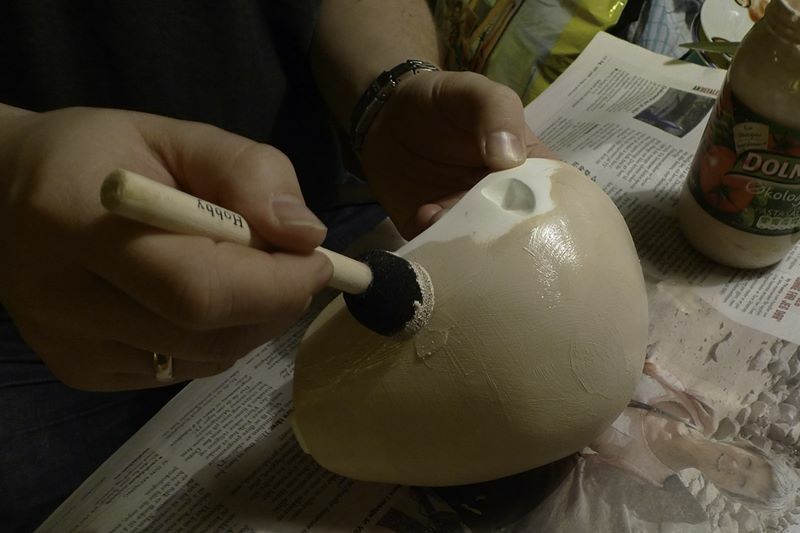 I used a couple of hours or more sanding the parts, making sure I sanded all the small pieces and pits on the figure. After all the sanding was done, it was important do get rid of all the dust after the sanding. The next step was therefore to wash all the parts in water and detergent and dry it thoroughly. The first thing I had to decide was whether to paint the figure before or after installing the mechanics. 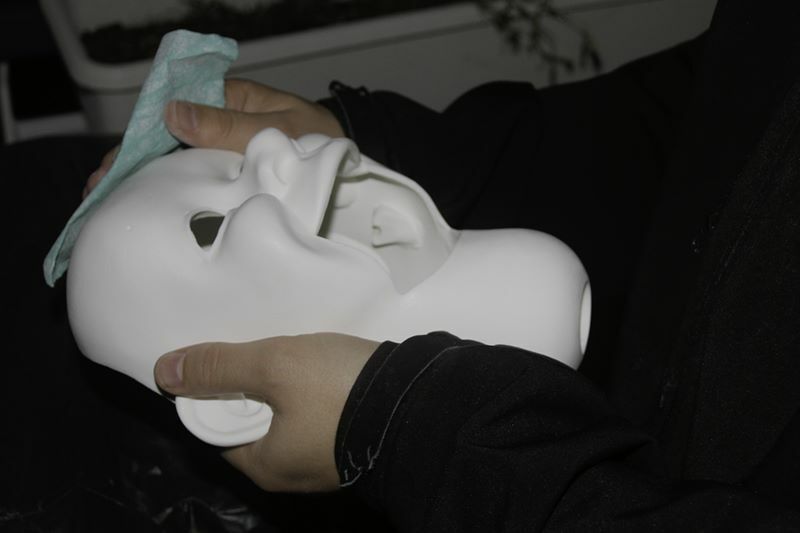 The reason you should do this before installing the mechanics is that you don’t want any paint on the eyes and other parts. The reason you should do it after installing the mechanics is that you easily will damage the paint during your work with sharp tools etc. Before you make any decision at this point, you should also consider whether you want to seal off the paint with some acrylic sealer or not. If you do the paint will last longer, but if you don’t it will be easier to fix any damage at a later point. So what did I do? I chose to paint first and not to use a acrylic sealer. This meant that I would likely get a few scratches, but it would be relatively easy to repair. Mixing paint is not as easy as it looks. Read carefully what the guides describe, and buy exactly the kind of paint they suggest. At the beginning I didn’t find all the types they described, and bought something I thought would match. 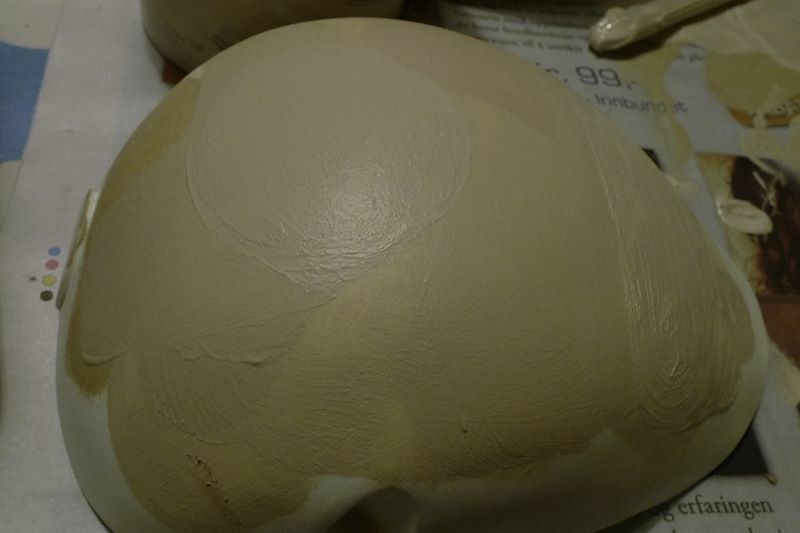 I did some mixing and tested it on the back side of the head, which later would be covered by hair anyway. This way the extra layers of paint would not make him look bad when he was finished. I mixed and mixed. Be aware that the paint will darken more than you think as it dries. You therefore have to mixed some a bit lighter what you want the end result, and then paint a bit. 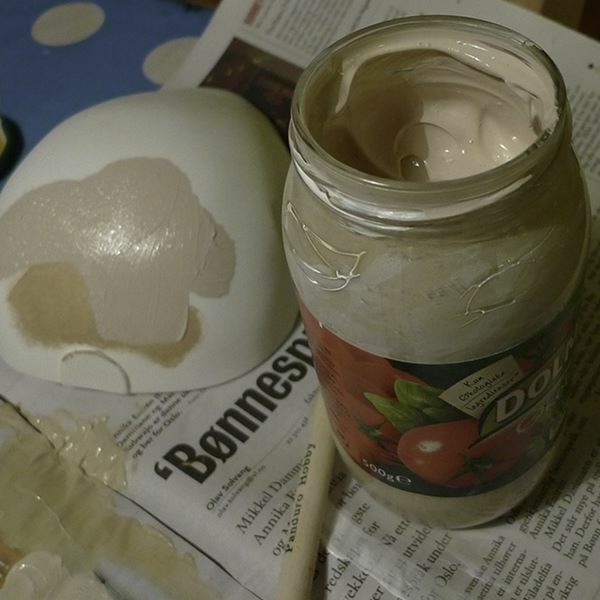 After it has dried you can adjust the mix of paint and try again. First off, he looked like he had hepatitis. Not at all what I had in mind. I made some adjustments and tried again. For each try, the amount of paint increased, and as it increased, the amount of paint needed to adjust increased. Suddenly I had a lot of paint. Half way I should have thrown away half of it, but I didn’t. Instead I made some more visits to different shops and managed to get the colors I had missed from the guides I had read. When I was satisfied I had enough paint for 20 or so dummies. I can repair Albert for the rest of my life as long as I store the paint properly. The skin tone I ended up with is lighter than many figures I have seen. I have allways thought the dummies look a bit dark. In retrospect Albert is maybe a bit too light, but I am still pretty satisfied with the color.